When you live in a country where you can get whatever type of fruits and vegetables you want any time you want them you can get sort of used to well getting whatever type of fruit or vegetable you want whenever you want it. 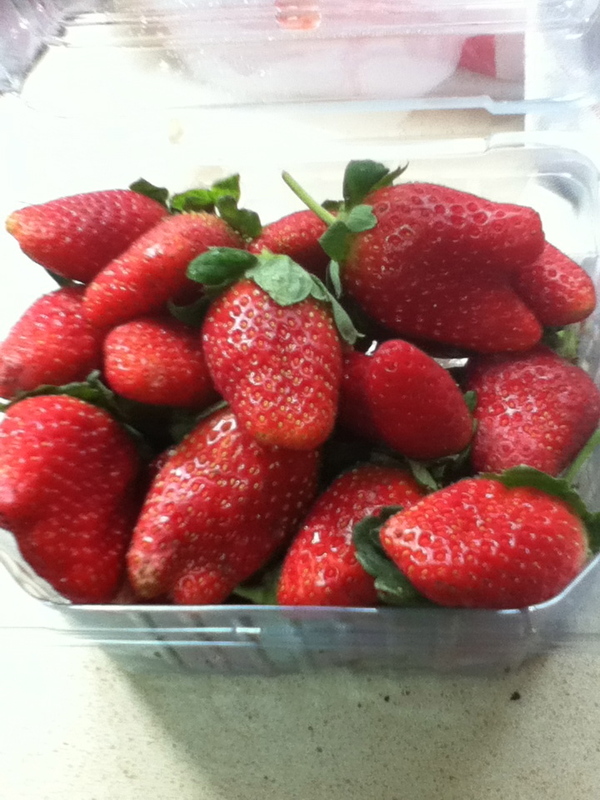 Before we moved to Israel , we had very little connection between seasons and availability which is probably why my children (Lital in particular) was so upset that we couldn't find strawberries or blueberries in Israel. But guess what? They're back! The strawberries anyway. I don't think I've ever had the experience of feeling such utter delight at finding strawberries at the store. I think this must also contribute to the produce here seemingly tasting so much better. We stopped at our new shuk on the way home last night and picked up a bunch. A woman in line told us that in the summer we will be able to get blueberries from the Golan. I really hope that turns out to be true. Not sure how long strawberry season lasts but we will definitely enjoy it while it's here. Bon Apetit!